1. All regular serving army personnel who wish to be involved in boxing MUST register through the Army BA as detailed throughout this section. Any Reserve serving personnel who wish to take part in Service Boxing in any way must register through the Army BA. a. Boxers. All boxers, irrespective of their age, gender or experience category, or the level of boxing they intend to participate at, are to register using the Boxing Registration Card application at Annex B to Section 7. Boxers participating in Service Boxing will have this clearly marked in their Registration book, those who wish to box against civilian opposition will have an England Boxing stamp authorising them to do so. The procedures to be followed for all registrations are detailed throughout this section. b. Season. The Army BA boxing season runs from 1 June 2016 to 30 May 2017. 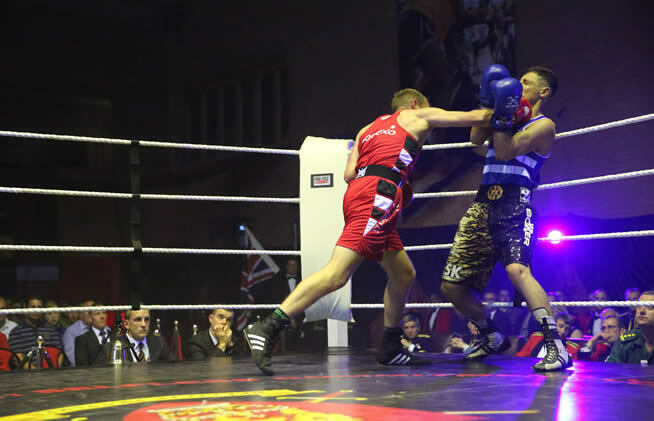 In compliance with England Boxing guidelines for audit, units/individuals are to ensure that any application for registration in the current season are at the Army BA office for processing at least 4 weeks prior to tournament or Championships. c. Coaches. All coaches are to register on qualifying and to re-register annually thereafter, in accordance with the procedure given at para 10. All coaches are to ensure that they are registered with the Army BA prior to the commencement of coaching. d. Officials. All officials are to register on qualifying and to re-register annually thereafter, in accordance with the procedure given at para 15. 2. All units who wish to take part in any boxing are to ensure that they affiliate to the Army Boxing Association on a seasonal basis by completing Unit Affiliation Application and returning it to the Secretary of the Army Boxing Association at the commencement of the season, each successful application will be awarded a Certificate of Affiliation which will be copied to the Regional Secretary.